We invite you to visit our studio/gallery, Rare Earth Pottery, located a short walk or drive uphill from the Lund Harbour. 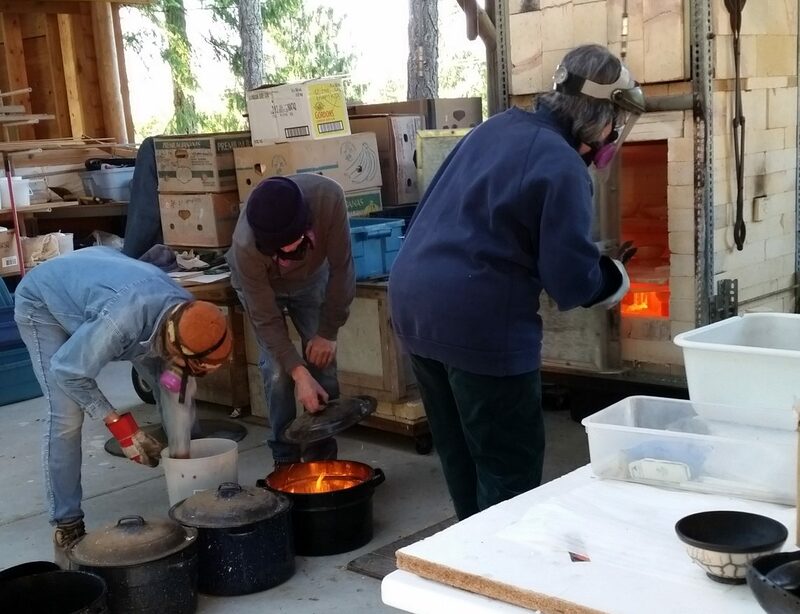 Our decorative raku-fired pottery is burnished to create a warm, smooth surface, and is smoked after firing. The wood-fired pieces are fired for 52 hours at a high temperature. Flames surround the pots, covering them with ash that melts to become lively and colourful organic surfaces on our sculptural pieces and tableware – vases, masks, bowls, jars, cups, and more. Our work has been exhibited, published and collected internationally.